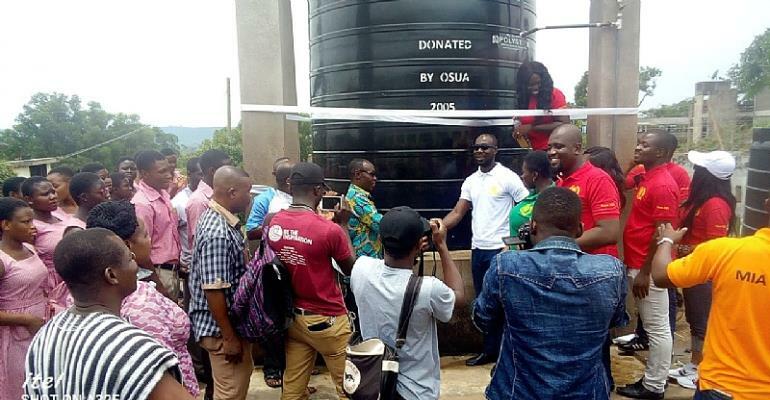 Following a visit to the school in 2017, the 2005 Year Group on Saturday 13th, presented two water storage tanks to the school, which would be used to store water for onward distribution. 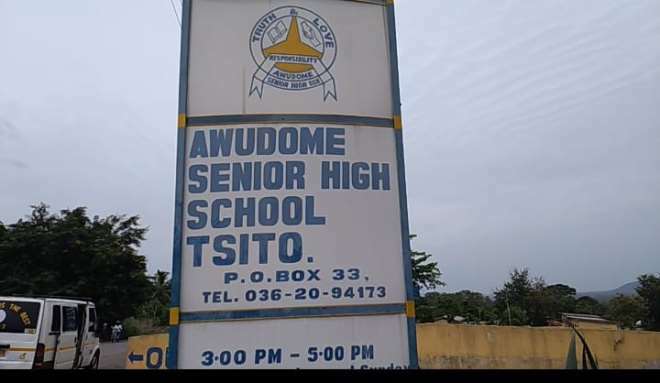 Established in 1963, the Awudome Senior High School, is one of the second cycle institutions in the Volta region with an overgrowing population of about 1,941 students but without adequate facilities. The school has for many years suffered water crises among other challenges. The year group under the leadership of Mr. Lawrence Gonyoe told the authorities that they feel indebted to an institution they left some 14 years ago thus, have decided to come back and show appreciation. The group has promised to come back from time to time to support the school. Mr. Francis Kudolo, the Assistant Headmaster (Administration), who spoke on behalf of the school and management, said the tanks would go a long way in reducing the frustrations of the school regarding water challenges. He, however, noted that the school needs more than the two storage tanks, hence appealed to the leadership of the group to get the other year groups to come to the aid of the school. "We are grateful for the donations but let me say that these storage tanks cannot entirely solve the water problems we currently face, our numbers are growing and we would be needing more than these. I'm therefore appealing to the leadership to send this message to their colleagues to run back to the aid of the school", he said. Mr. Kudolo added that, the school's challenges go beyond water problems, saying that the school in spite of the huge numbers lacks adequate infrastructure. According to him, the classrooms do not have adequate desks to accommodate students, the students population has also outgrown the numbers the assembly hall can take, a situation that heightens difficulties during indoor events. He laments that the use of unapproved routes to the school is taking tolls on discipline and the academic performance of the students. "Students leave campus to town through unapproved routes at any point in time, a phenomenon that is taking tolls on discipline and their performance. 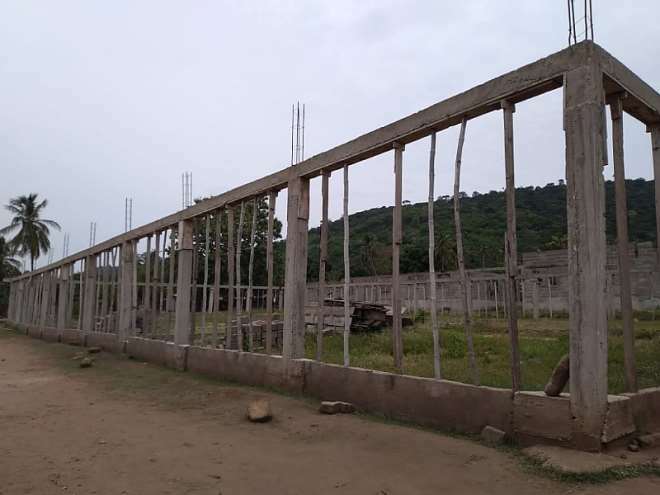 At some point, we [staff] have committed ourselves to donating cements at the end of the month to support the construction of a fence wall around the school." "Due to accommodation problems, staff members that stay on campus are few making it more difficult to check students in the boarding house, we are using this opportunity to appeal for support from the past students to come to our aid". A dinning/assembly hall project started by the PTA about two years ago has also stalled due to the suspension of the PTA dues by GES.